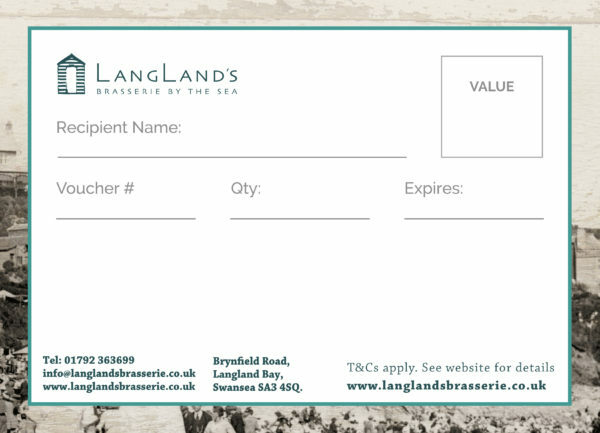 Treat a friend or family member to a delicious meal at a superb beach front location , with a gift voucher from the award winning best restaurant, Langland’s Brasserie. Gift vouchers are redeemable in the restaurant and at the bar. Vouchers may be printed out or presented on your mobile phone. Please present voucher before paying bill. Book on 01792 36 36 99. Please see T&Cs for full details.